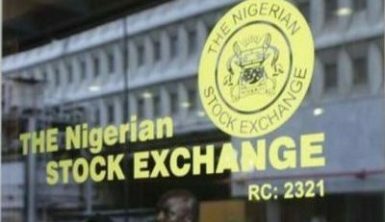 The Nigerian Stock Exchange (NSE) and Afrinvest Securities Limited (ASL) on Monday launched two new indices to optimize investors’ return, said an NSE official. The indices are the NSE-Afrinvest Banking Value Index (BVI) and NSE-AFRINVEST High Dividend Yield Index (NSE-Afr HDYI). The indices were designed in response to requests for applicable benchmarks for measuring value in banking stocks and high dividend stocks listed on the exchange, Oscar Onyema, NSE Chief Executive Officer, said in Lagos. Onyema said they would serve as tools for investment managers and corporate treasuries seeking appropriate benchmarks to evaluate the performance of their portfolios. According to him, the indices can also be used as the performance target in index-replicating financial products such as Exchange Traded Funds and Derivatives. He added that the NSE is committed to driving sustainability of the market place and supporting invest-able product creation endeavors by stakeholders to enhance the depth of the market. Also speaking, Ike Chioke, Group Managing Director of Afrinvest West Africa, ASl’s parent company, said the company was proud and excited at the roll-out of the new indices in collaboration with NSE. Chioke said the partnership would serve as a veritable proponent for more forward-thinking initiatives to meet the need of the market. Chioke said the NSE-Afr BVI and the NSE-Afr HDYI as with all other NSE indices would align with the NSE’s Index committee’s governance standards. 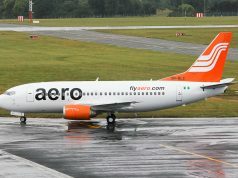 He added that guidelines and methodologies for the indices were publicly available on the website of NSE and Afrinvest. The indices will be available real-time on both NSE and Afrinvest WA websites from Jan. 21.